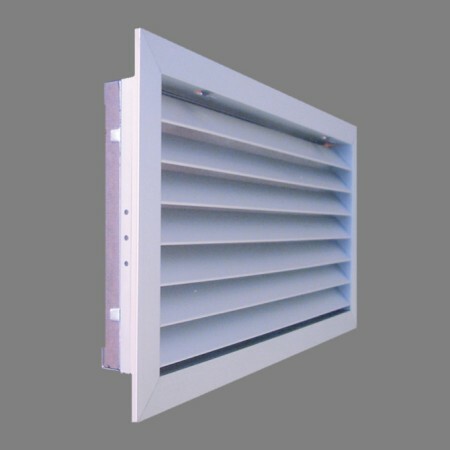 The grilles with filter of series DMT-FY are designed for air return in air conditioning, ventilation and heating systems. Grilles proposed for wall mounting. By pressing on two semi-hidden levers, the DMT-FY can be easily removed from its mounting frame, for washing or filter replacement in compliance with the regulations required for maintenance of HVAC installations. The FY system means so much an economy of time in installation like in the later maintenances, as well as an aesthetic evolution. Extruded aluminium grille, provided with a airtight seal on the back of the frame.